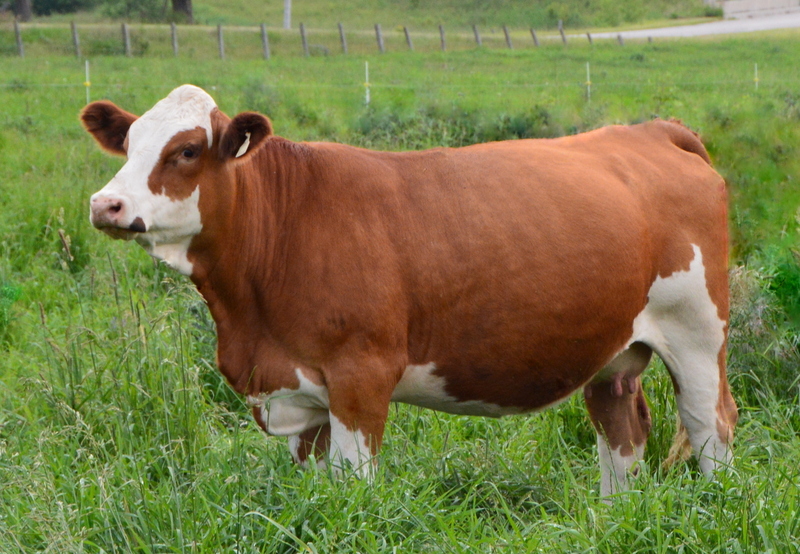 Janine is sired by the 1992 legendary Myers Canadian Siegfried bull and we believe this is his only polled daughter. Janine’s first calf by Hugo is a brockel-faced, homozygous polled heifer calf. Janine is safe in calf to the Viper bull for an early January 2014 calf. Janine has an impressive RFI genomic score placing her in the top 5% for feed efficiency. Janine has her whole life ahead of her and we feel a tremendous future here at Dora Lee.